Have you ever considered that period of time when Jehovah dwelt alone, without any of the works of His creation? There was a period in eternity before the sun ever gave its light. There was a time before the stars floated in the sky. There was a time when all that you and I can now see was yet unborn, slumbering in the mind of God. Before the creation of the sun, the moon, the stars and the planets of the Milky Way, there was a God, and He was blessed forever. Although no angels yet hymned His praises, He sat as a King on His eternal throne. “Before the mountains were brought forth, or ever You had formed the earth and the world, even from everlasting to everlasting, You are God” (Psa. 90:2). In the process of time, it pleased the Father to create this world and all things therein through His Son. “For by Him all things were created that are in heaven and that are on earth, visible and invisible, whether thrones or dominions or principalities or powers. All things were created through Him and for Him. And He is before all things, and in Him all things consist” (Col. 1:16-17). Have you ever considered how infinitely inferior we are to God? We can hear the great prophet Isaiah say, “O Lord, You are our Father; we are the clay, and You our potter; and all we are the work of Your hand” (Isa. 64:8). Throughout the course of human events Jehovah has endeavored to teach mankind that He is God, and beside Him “there is no other” (Isa. 45:22). When the king of Assyria threatened Israel, the good king Hezekiah humbly prayed, “O Lord God of Israel, the One who dwells between the cherubim, You are God, You alone, of all the kingdoms of the earth. You have made heaven and earth” (2 Kings 19:15). He then beseeched Jehovah to “hear the words of Sennacherib, which he has sent to reproach the living God” and “save us from his hand, that all the kingdoms of the earth may know that You are the Lord God, You alone” (2 Kings 19:16, 19). Let us examine how God has been teaching this great lesson to the world throughout recorded history. Human history records how men would often set up a block of wood or stone to be his maker. “Professing to be wise, they became fools, and changed the glory of the incorruptible God into an image made like corruptible man — and birds and four-footed beasts and creeping things” (Rom. 1:22-23). He then prostrated his body before the creature of his hands — calling it god, while it had neither eyes to see, or hands to feel, nor ears to hear. Where are those gods before whom the people of Nineveh once fell? You would have to ask the moles and the snakes, because those gods are now buried beneath mounds of dirt and clay. Alternatively, you could go to the Oriental Institute at the University of Chicago and see their remains there, and smile as you think that men should have ever bowed before such gods such as these. God has spoken concerning the gods of Nineveh, saying, “Your name shall be perpetuated no longer. Out of the house of your gods I will cut off the carved image and the molded image. I will dig your grave, for you are vile” (Nahum 1:14). Where are the gods of Persia? The fires of their altars are quenched, and the memory of them has nearly passed away from the earth. Where are the gods of Greece — those gods who were once hymned in the most sublime odes? Who talks of them now? Only those in the halls of academia, as they study long forgotten relics of the past. Where is Zeus, the god of the sky, weather, thunder and lightning? Where is Nike, the winged goddess of victory? Where is Athena, the warrior-goddess who was the embodiment of wisdom and the protectress of Athens? Who now stands before Jupiter or bows before Saturn? Where are the gods of Rome? Does Janus, the god who supposedly hovered over households, now command any temple? Can you now find the priests of Jove today? Where is Bacchus, the god of grapes and wine? Are there any now who bow before these gods? No! They have lost their thrones. Great empires have risen up, and have become the gods of their age. Kings and princes have taken upon themselves high titles, and have been worshipped by the multitudes. Nevertheless, ask these empires now whether there is any beside Jehovah? God taught the Egyptians that He was God. “The Egyptians considered sacred the lion, the ox, the ram, the wolf, the dog, the cat, the ibis, the vulture, the falcon, the hippopotamus, the crocodile, the cobra, the dolphin, different varieties of fish, trees, and small animals including the frog, scarab, locust and other insects.” (John Davis, Moses and the Gods of Egypt, p. 95). I think many people miss the point of the plagues God sent against Egypt during the days of Moses. Sometimes people get so wrapped up in studying fleas and locusts that they forget the purpose of the plagues. The plagues were not just to be an inconvenience to the Egyptians — they were designed to teach the Egyptians about the power and might of Jehovah. It seems as though every plague was a direct affront to one or more of the gods of Egypt. God told Moses, “But Pharaoh will not heed you, so that I may lay My hand on Egypt and bring My armies and My people, the children of Israel, out of the land of Egypt by great judgments. And the Egyptians shall know that I am the Lord, when I stretch out My hand on Egypt and bring out the children of Israel from among them.” (Exodus 7:4-5). At the death of the firstborn, Jehovah said, “against all the gods of Egypt I will execute judgment: I am the Lord” (Exodus 12:12). But where is Amon-Re, the supreme god of Egypt? His temple in Karnak now lies in ruins. Where is Isis, the mother goddess of fertility and nature? Where is Osiris, the god of the dead and of the underworld? Where is Horus, the god of light — the god represented as a falcon-headed man wearing a sun disk as a crown? Were is Ptah, the chief god of Memphis, the one whom they believed created the moon, the sun, and the earth? Consider the Babylonian Empire. She who was great among the nations — where is she now? You could go to Iraq and stand upon the mounds that once housed some of the most feared armies of the world — but it is now covered in sand and forgotten by time. You could stand upon the mounds of ancient Nineveh and let those hidden ruins remind you that there is but one God and empires sink before Him. Nebuchadnezzar had to learn about the nature of God the hard way. Can you not picture him with the crown on his head and his purple robe over his shoulders as he walks through proud Babylon? Daniel had already told him that God “changes the times and the seasons; He removes kings and raises up kings” (Dan. 2:21). However, it appears as though he soon forgot this lesson, and what a journey he had to make! (Dan. 4:1-37). Nebuchadnezzar had to learn that “all the inhabitants of the earth are reputed as nothing; He does according to His will in the army of heaven and among the inhabitants of the earth. No one can restrain His hand or say to Him, ‘What have You done? '” (Dan. 4:35). Herod Agrippa I was smitten by an angel of the Lord in the theater built by Herod the Great (Acts 12:20-23). Josephus said Herod died after five days of suffering. God indeed humbles the proud and abases the mighty. “Now, when Agrippa had reigned three years over all Judea, he came to the city Caesarea, which was formerly called Strato’s Tower; and there he exhibited shows in honor of Caesar, upon his being informed that there was a certain festival celebrated to make vows for his safety. At which festival, a great multitude was gotten together of the principal persons, and such as were of dignity through his province. On the second day of which shows he put on a garment made wholly of silver, and of a contexture truly wonderful, and came into the theater early in the morning; at which time the silver of his garment being illuminated by the fresh reflection of the sun’s rays upon it, shone out after a surprising manner, and was so resplendent as to spread a horror over those that looked intently upon him; and presently his flatterers cried out, one from one place, and another from another (though not for his good), that he was a god; and they added, ‘Be thou merciful to us; for although we have hitherto reverenced thee only as a man, yet shall we henceforth own thee as superior to mortal nature.’ Upon this the king did neither rebuke them, nor reject their impious flattery.” (Josephus, Antiq. 19.8.2). There have always been those who sought to set themselves up in the place of God. One of the greatest enemies of Truth has been the wisdom of men, for wisdom of man does not see God (1 Cor. 1:18-25). Nevertheless, have you not noticed, in reading history, how God has abased the pride of wisdom? The mighty thoughts of Socrates are now all but utterly forgotten. Even a child in grade school today would laugh at the “wisdom” of Socrates. And to the “wisdom” of Socrates, we could add Aristotle and Plato. One century passes and another century comes and a new set of philosophers rise up to refute their predecessors. At one time Sigmund Freud, a man who described himself as “a completely godless Jew,” was considered to possess one of the greatest minds on earth, but is now repudiated by so many great centers of learning. The Bible is like a stone that breaks into pieces human philosophy — it is like a battering ram against the thin walls of humanism (cf. Dan. 2:44-45). The Jews in the Promised Land forgot this lesson and bowed before other gods, and therefore Jehovah brought against them kings and nations. During the period of the judges “they forgot the Lord their God, and served the Baals and Asherahs” (Judges 3:7). Israel forgot Jehovah and was carried away into Babylonian captivity. What Israel did, we often do as well, i.e., forget that He is God, and beside Him there is none else. Sometimes we plan for the future without taking God into account (James 4:13-15). God teaches His people every day, by affliction, by trials, by the loss of the joys of His countenance, that He is God. We must continue to look “unto Jesus, the author and finisher of our faith, who for the joy that was set before Him endured the cross, despising the shame, and has sat down at the right hand of the throne of God” (Heb. 12:2). From the manger in Bethlehem to the cross of Calvary we hear our Savior pleading with men to accept His kind and tender invitation (Matt. 11:28-30). Come to Calvary, and to Calvary’s Lamb and learn from Him! Thanks so much to http://www.bradentontowing.com for sponsoring my blog. 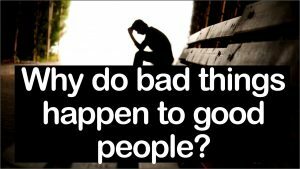 Read Why do bad things happen to good people? How can a loving and just God allow bad things to happen to good people? Questions are not bad. They are healthy and they help us to grow our faith. Questions become bad when (1) we try to answer them with our own wisdom instead of from God’s Word and/or (2) we stop seeking answers. When we ask this question it implies that because we’re good we deserve God’s special protection and care. God’s people are not necessarily good people – they are saved people. There are no examples, comments or commands where God has promised a special protection for Christians. These are dangerous questions. They are not dangerous because the answers are difficult to understand or accept, but because Satan uses them to create doubt and chip away at our faith. He uses them as stumbling blocks in our growth towards God. The awful catastrophes in the news papers and on the news channels get the most attention. But these account for only a small portion of death and suffering in the world. 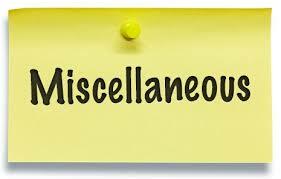 Most is at a localized level with little public attention and on an individual basis. Romans 5:12ff – Much of the suffering in the world is a direct result of the misuse of the freedom of choice of past generations. Adam began a pattern of willful disobedience to God. And by doing so created death for all men. Death as a power over us through our sin. In other words, when we sin, death reigns over us until we become a Christian and then Christ reigns over us. Galatians 6:7-10 – We reap what we sow. And sometimes we put others in a position to reap some of our sowing. Luke 13:2-5 – God created the world with natural laws. These laws can’t be changed and will always act the same way. John 9:1-3 – Sometimes God uses one part of His creation to demonstrate His characteristics to another part of His creation. James 1:2-5 – God has a plan for us. And that plan will often include some trials. Our trials are there for our benefit – to help us grow and bring us closer to being complete or finished in Him. Hebrews 12:7-11 – God will discipline His children for disobedience. Often times people bring pain and suffering on themselves for their disobedience to God. Here is some information to help answer some general questions and help you to be a little more comfortable should you determine that we move forward in this together. The groups will not be continuous. We will have three semesters during the year. We will have group sign-ups for each semester. This allows group members to continue their group if they wish but also reassures people that they are not stuck in the same group. By having a definite start and end date, we intend to help people to feel more comfortable with signing up and making a short-term commitment. This plan is made in order to correspond with the flow of our lives (i.e. school, holiday vacations, etc.). Starting a ministry of this magnitude that will bring a significant change must be well-planned, sensitive and well-communicated. Here are a few details for the proposed beginning of this ministry. I’ll tie in the vision I shared one year ago (the first Sunday in 2012) where we talked about focusing on Worship and Fellowship. This shows the church where God has been working in 2012 and leading us to this point of greater fellowship. Begin sign-ups on December 30th. Sign-ups will continue through the first week that groups begin meeting. Semester begins on January 13th and lasts for 12 weeks, ending the week of March 31st. The ideal number in a group is 8-12. Because of this we will cap each group at 15. This assumes that 1-2 will not participate after signing up and that 1-2 will miss each week. The desire is to have 60 sign up to participate. Based on this number, we are tentatively planning for 5 groups. 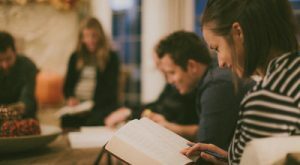 It would be prudent to have one of the small groups meet at the church building in the annex—assuming that we could recruit a leader and fill the group. We will work with each group leader to determine a day and time that will be most beneficial to the ministry. We will allow the leader the flexibility and input to help select the most appropriate date and time. We will have a selection of pre-approved curriculum for the group leader to choose from. This ensures some level of oversight on the group while providing enough flexibility for the leader to find something he is comfortable with and allow him to take ownership in the success of the group. We will have semesters in the future that will also include the groups covering the same curriculum. Including occasional semesters where the material is based off of the Sunday morning sermon. Planning, organizing and implementing this ministry is quite detailed and involved. Here’s the skeleton structure of the administrative side. Form – lock down commitments from group leaders, finalize number of groups, curriculum, etc. Fill – promote the groups to the church, hold sign-ups and fill the groups. Facilitate – train group leaders, kick-off the groups, follow-up weekly with each group leader. Jesus made God the Father figure. This was new to the listeners. Jesus changed the view of God – to that of a Father. 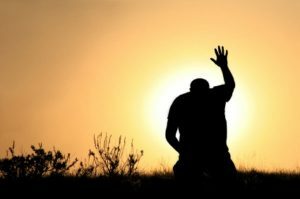 Jesus always prayed Father – sometimes even using Abba. No one ever talked about God like this. Jesus is trying to communicate why he hangs out with sinners. He’s looking for a way to talk about God. The best metaphor is Father. Find a word to try to explain the universal pain that every parent feels when it comes to their children. Most parents love their kids so much it hurts. Everyone else in your life it takes time to love – but not with your children, its instant love. Nobody is prepared for the joy or pain of parenting. If you’re a father and your child is lost, you have one agenda. Jesus is trying to explain why he spends so much time with sinners. Because their fathers’ heart is going to stay broken until all of his kids are back home. The father didn’t have one lost boy – he had two. They had more in common that what you might think from a surface reading. Both boys resented their fathers’ authority. Because both wanted their fathers’ things more than they wanted their father. They both wanted a party with their friends and neither had their father on the guest list. Neither boy thought a relationship with their father was enough. They misunderstood the type of relationship that their father wanted. Things motivated the younger boy’s obedience. Things motivated the older boys’ obedience. Goodness is a weapon and a way of gaining control. They want the fathers’ blessings. You can tell that when times get hard, they get mad at God and the Church. Both boys saw their relationship as something to earn. The younger boy thought that he could not be at the Fathers’ table because he did not earn it. He thought he blew it. Father said he didn’t earn his place at the table in the first place. The older boy said that he had been slaving all these years for the father. He wasn’t there because a love or devotion. It was duty. He thought his work obligated the father. He thought his father owed him because of what he had done. Does any Dad want his kids to see him primarily as a task master. Merit didn’t cost the son his sonship. Merit didn’t earn the older boy his sonship. He never asked for a party because he didn’t see himself as a beloved son. How does it make the father feel if your boys talk to you like an employer with a labor shortage? A father is a man who carries photographs where his money used to be. The boys say I want this. The Dad says I want you. Ever since the time in Genesis ch3 God has been asking the question, where are my kids? He came in person, in the form of Jesus to find his children; because God wants a relationship with his children. The bigger question is, what kind of a relationship do I want with God? This story says that you can live right under the father and still be lost. Some people avoid the father by being very bad. Some people avoid God by being very good. God doesn’t want the dutiful service of slaves. He wants the willing joyful affection of sons. How do you see God’s arms? Story ends on a sad note with an angry young man. Older brother was so mad and was willing to disgrace his father because of his perception of justice. Why was he so mad? Didn’t care about the lost. Easy to brand him as a self-righteous person. But, you can only grow self-righteousness in the soil of a community that values righteousness. Only when righteousness is valued that self-righteousness can grow. His reaction was consistent with his theology: people are either good and thus valuable or bad and therefore are worthless. Why should you care about people who are bad and are worthless? That’s what the critics were asking Jesus. He gave a new understanding as righteousness. He said all people are bad and valuable. Totally new paradigm. He was saying that they had no idea the value that God has placed on the people that they wanted to discard. Older brother didn’t want his brother back because he didn’t think he was worth it. He did care about the cost. Justice is required. Everything left in the diminished wealth belonged to the older brother. He’s already blown his part and now we’re spending it on my part of the money. Forgiveness always comes with a cost. And to the older brother it wasn’t worth the cost. He didn’t want to pay the price for reconciliation. It cost him a soured soul, missed joy. Cost his father the opportunity to stop grieving for a lost son. The older boy became a prodigal and he never left home. The story ends on a sad note. Jesus is trying to say that it’s sad because people are constantly trying to replace goodness for grace. He was a goodness had become a bigger barrier to a relationship with his father than his little brother’s badness had been. He was estranged from his father not in spite of his goodness, but because of it. Sad because there is a father who is full of grace that you are willing to disgrace him because you are determined to live your life by the goodness grid. Pay such a high price for it. What has it cost us? Become angry. The good life we think we’ve lived doesn’t always result in the good life we think we deserve. Become bitter at church, family, neighbors and God. Become anxious. Because contentment is always based on achievement and acceptance is always based on performance. The father told him that everything he had was his. You can have a party, why haven’t you thrown yourself a party. Because he didn’t think he deserved a party. He didn’t think he had earned it. Not sure where you stand with God. Even though you are judging where others stand with God. They know they have dropped the ball and they are in desperate need of grace. The older brother thinks he’s good. I hope that we would be a church full of younger brothers. Every person that comes through the door is someone else’s son. Are we looking out for them so that we can meet them at the door, put our arms around them and hug them? Enabled a distinctively Christian worship and fellowship. The creative and controlling aspects of their faith and life were precisely those which other Jews did not share. These aspects found unhindered expression not in temple or synagogue worship but in the house gatherings. Explains in part the great attention paid to family life in the letters of Paul and in other Christian writings. On many occasions entire households were often converted as a unit (Acts 16:33). The multiplicity of house churches in the city helps to explain the tendency to party strife in the apostolic age. Christians of a certain tendency grouped together and thereby were confirmed in that tendency. 1 Corinthians 1:10-17 demonstrates a loyalty to households. There were definitive patron-client relationships. It’s natural to be attracted to personalities (i.e. favorite teachers, preachers, etc). The house church situation also sheds light upon the social status of the early Christians. The early church was not just a poor man’s group. 1 Corinthians 1:26 demonstrates that there were at least some wealthy members of the church. The apostolic church was more nearly a cross section of society than we have sometimes thought. Helps to understand the development of church polity. This was aided by the fact that many converts were formerly “God-fearers,” who had shown enough independence to leave their native faith heritage and establish a relationship with the synagogue. The house church became a training ground for the future leaders of the church following the apostolic era. Everything was set up for the host to emerge as the most prominent and influential member of the group. 1 Timothy is dealing with potential problems with the leadership. Titus is dealing with developing leaders. Christians met only in private homes. Insula – apartment or tenement complex that housed numerous families. Often consisted of four to five levels surrounding a central court. Included lower and upper crust families. Domus – consisted of a suite of rooms grouped around an atrium. Atrium was a rectangular room with an opening in the roof. It included a triclinium or a dining room where the meals would have been held while reclining on pillows (Palestine) or couches (gentiles). Villa – an estate consisting of a house, grounds and auxiliary buildings. This was a time when worship in Imperial Rome was split into two spheres: public and private. The public worship of the gods guaranteed the welfare of the Empire and a civic duty performed under state ritual. The private sphere is the locus where spiritual needs were satisfied by divinities of one’s personal choice. Christianity flourished in the private realm. There is no archeological evidence for Christianity during this time period. This is a transitional time between the house church and the domus ecclesiae; which were selective and partial alterations to interior structures of the family home to accommodate worship. The house church moved from domestic to entirely religious function. A specific example is found at Dura Europus (246 AD). Concludes with the Edict of Milan. Some met in larger buildings/halls – both private and public. This was the aula ecclesiae “hall of the church.” These predated the great persecution (303-311) and Constantine’s building spree. Constantine began building basilica’s for church gatherings. These accommodated the larger groups. There were no pews as this time period was highlighted with a focus on the Eucharist (instead of the modern homiletically focused meeting that began during the Reformation). Luke 22:12 – Jesus and His disciples gathered to share His last Passover meal. Acts 1:13 – the Apostles went to the upstairs room of the house where they were staying. Acts 12:12 – gathered together at home of Mary (mother of John Mark) for prayer on behalf of Peter. Had a gate which meant that a courtyard must have separated the main building from the street. Acts 16:34 – Paul and Silas brought into the house of the Philippian Jailer following his conversion. Hosted a meal for Paul and Silas. Acts 21:8 – in Caesarea at Philip the Evangelists’ home. Acts 19:9 – Paul taught in the Lecture Hall of Tyranus. There is a practical aspect of hospitality which Paul experienced and in some instances may have relied on during his ministry to the Gentiles (Acts 21:4, 7, 16-17; Philippians 4:15-18). Often when he experienced difficulties it was due to a lack of hospitality (1 Cor 4:11-13; 2 Cor 6:4-10). In addition to being a practical issue for Paul it was also a fundamental expression of the Gospel where God had demonstrated ultimate hospitality in an eschatological sense (Matt 8:11; Matt 22; Luke 14:15-24). In early Christianity, hospitality was expressed in the form of sharing meals together in celebration of the risen Savior and acknowledging His presence and unifying work in their own community (1 Cor 11:17-34). This explains why Paul prominently listed hospitality as a function of the church leader in 1 Tim 3. In this way, Paul’s practice and teaching of hospitality mirrored that of the ministry of Jesus who used the meal as a unifying symbol of the socially marginalized of society (Luke 7:39; 19:7). In summary, hospitality was an expectation of both the Jewish and Greco-Roman culture. Hospitality in the church was primarily manifested as an informal, household based ministry for sustaining itinerant missions and unity within the community. Community is initiated by the work of Christ. This means that Christians need other Christians because of Jesus Christ. 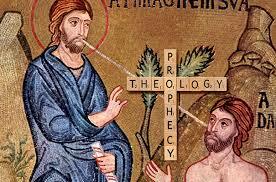 Without Christ there is discord between God and man and between man and man. Our community with one another consists solely in what Christ has done to both of us. We should not try to create a vision of what we hope for community to be. We should exist in the reality of what Jesus has created. We should be grateful and appreciate of our fellowship and not complain because it isn’t what we envision or hope for. Christian brotherhood is not an ideal which we must realize; it is rather a reality created by God in Christ in which we participate. Physical presence of other Christians is a source of incomparable joy and strength to the believer. A Day With Others. Prayer, Reading the Scriptures, Singing the new song, table fellowship. The Day Alone. Let him who cannot be alone beware of Community. Let him who is not in community beware of being alone. Intercession is a powerful creator of community. I see someone I did not like as a person for whom Christ offered His life. Ministry. Holding one’s tongue, meekness, listening, helpfulness, bearing (one another’s burdens Gal 6:2), proclaiming. Confession and Communion. Brings sin to light where it loses its’ power. Sin wants a man by himself. It withdraws him from community. Our experience of the cross and not life, makes one worthy to hear a confession. The group comes first. Strong-group society where the group is greater (priority) than the individual. Group is not only helpful, but also formative in our life’s decisions. Not until the individualistic culture did man ever need therapy. Our individual freedoms have pushed us over the edge of the emotional cliff. Family in the NT world. Purpose of marriage was to strengthen the family. Family went through/defined as the Patriline (allegiance there and not to spouse). Strongest bond was between brother and sister, not the spouse. Family is the most important group. The greatest act of disloyalty was betrayal of brother, not spouse. Jesus is changing the family. Jesus’ New Group. We have domesticated Jesus so that we can feel comfortable to bring Him home. Orthodoxy answers what Jesus is like. He is like God. Our response is worship and adoration. Orthopraxy helps to define what God is like. 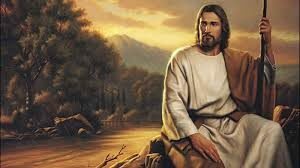 He is like the behaviors of Jesus which must be observed and copied. In this regard, Jesus modeled a new community and called it family. Creating an alternative family. Redefined the priorities of (1) God (2) Family (3) Church (4) Others to (1) God’s family (2) My family (3) Others. As Jesus created an alternative family and people found their identity in the context of their family, Christians are forced to redefine their identity. The Churches of Paul. Affective solidarity is emotional bond. Family unity – interpersonal harmony. Material solidarity – sharing of resources. Family Loyalty – undivided commitment to God’s group. The Church in the Roman World. Expanded not solely because of what they believed but predominantly because of how they behaved. Salvation as a Community Creating Event. Cannot have God has your Father unless you have the Church as your Mother (Cyprian of Carthage). When we are saved we are justified and familified. Life Together in the Family of God. Four NT values: share our stuff, share our hearts, stay and grow with one another, family is about more than me, wife and kids. Decision Making in the Family of God. Diagram of spirituality and community. Community is horizontal, spirit is vertical. Evidence from domus in Pompeii and Herculaneum indicates that not all Pauline house churches were necessarily small or that they were private. They may have been small, but may have accommodated numbers far greater than 40 persons. Domus were ‘housefuls’ of persons unconnected by family ties. Rich and poor living in the same spaces. Domus and insulae incorporated shops which placed owners, freedmen and slaves in the same domestic spaces. They may have included public baths and/or gymnasiums. 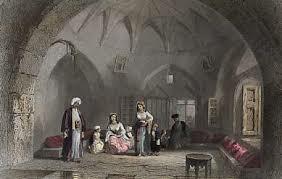 Women owned some large domus, and would have exercised influence over groups that met and dined in their houses. Live out the “one another” passages. We should not have to work around our structure (the way we practice our faith) in order to implement the directives of the Bible. The structure should support those. Baby-Boom Generation (1946-1964) – This generation is 66 to 48 years old and is beginning to enter into retirement years. Their lives (including their religion) have roots and as such they are unlikely to make any significant changes—including coming to or changing churches. They are characterized as a materialistic generation that enjoyed the prosperity created by those who came before them. They did not experience (not can they understand) the struggles that they preceding generations endured. They have expected to be served and catered to. In the religious context this is demonstrated through the development of the entertainment-focused worship services. This was the first generation that was widely educated; with approximately 30% hold college degrees. This is by far the highest percent of any generation coming before them. This led them to highly value education for their children. Generation X (1965-1980) – This generation is 47-32 years old. They have established careers and are greatly in debt. While they have worked hard to develop their careers, they have been slow to have children and develop their faith. Referring to their faith, this generation is widely guilty of abandoning any religious heritage their parents passed on to them when they left home. Now, as they are raising children, the priority to reestablish the practice of their religion is becoming more important. Generation Y or Millennials (1980-2000) – This generation is 32 to 12 years old. Highlight the inclusiveness and tolerance of the cross. We should be leading the way on these issues. Instead it feels like we’ve allowed secular liberals to champion an agenda that God has always expected his people to lead. Clarify the roots of exclusivism. Post-moderns need to see and understand the ancient nature of the exclusive claims of Christianity. Too often it is seen simply as an attachment to cultural superiority. While the seminal NT texts like John 14:6 and Acts 4:12 cannot and should not be avoided, OT texts like Isaiah 43:10-12 provide a fresh way to approach the issue which helps post-moderns understand that Christian exclusivism is rooted in Scripture and not in human culture. Explore the basis for Christian exclusivism by highlighting what makes Christianity distinctive. The doctrines of incarnation, atonement and resurrection. Logical – If Jesus was truly God in the flesh then his teachings come with divine authority. Emotional – The God of Christianity went to amazing lengths to be with you (highlighted by the manger and the cross). He wants to be with you in all seasons of your life. He walked through everything that you have walked through and can not only empathize, but also sympathize. Atonement – Almost every major world religion offers salvation based upon what we “do.” However, because of the atonement, Christianity offers salvation upon what Jesus has “done” on the cross. Resurrection – more than anything else, the resurrection provides a tangible reason to expectantly hope for heaven. If the resurrection is true then there really is life after death. Highlight the exclusive nature and claims of other faiths. 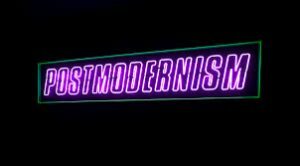 If post-moderns want to reject Christianity because of it’s exclusivity then they need to understand that most world religions claim that they are, if not the only way, the best way to a relationship with God. Highlight the inadequacies of pluralism. Taken to its logical extreme, pluralism is untenable. It is not possible to practice pluralism in every facet of life. All religious practices and groups are not equal. Christian crusades, temple prostitution, Aztec human sacrifice demonstrate repugnant acts. Mother Theresa’s Sisters of Mercy are not equal to the Heaven’s Gate cult or David Koresh’s compound. All religions are not able to adequately respond to difficult questions and circumstances. Is there a God? Why am I here? Why did my child die? Pluralism says that all religions can answer these questions equally. This just isn’t true. Pluralism is inherently intolerant. Pluralism says that it’s always wrong to try to convince someone that his views are wrong. Pluralism affirms the truth of all viewpoints—except the viewpoint that says there is one absolute truth. Pluralism says there is no absolute truth—which is itself a statement of absolute truth. What do we do with the kids? That’s a great question that will ultimately be answered collectively by the entire group. The make-up of the group will factor heavily into the approach that is taken. Here are a few options that may be worth considering or that may generate other ideas. Each group should remember that, as they work through this together, that the children are a part of the family as well; and that this time could be made to be extremely enriching and formative for them. Include the children in the entire meeting. This would be a good option with infants or young children who are able to sit and play quietly. Include the children in a part of the meeting (i.e. food, worship, opening). Then have a separate bible study/meeting for the children. In this case the group members could rotate the responsibility of leading this so that no one has to miss out each week. Hire a babysitter to provide care for the entire meeting. This may be an option for young children who are unable to be left alone or if the group chooses not to have a separate Bible study time. In this instance the parents could share in the cost of the sitter. Have one week each quarter where the children are fully included and the time (bible study, worship, etc) is geared towards them. Do we have to eat a meal together? No, definitely not. But each meeting should have some beverages and snacks available. Sharing food together is a theme found throughout the Bible, and for good reason. For example, having a drink in hand or a plate full of snacks often serves a great security blanket for someone who might be anxious or not naturally good at conversation. Ultimately, sharing a meal with a person or group of people is one way that cultures have always demonstrated fellowship and togetherness. There is a great deal of theology involved here with the way that we share the Lord’s Supper with Christ and one another. Each group will decide for themselves whether or not they will eat a meal together or just have drinks and snacks. This decision will depend on the time of the meeting and preferences of the group. Whichever choice is made, each group should remember that this is less about feeding hungry people and more about the strange way that a drink and a snack takes down walls and helps people to feel more comfortable. Thanks so much to http://elcirco.org for sponsoring my blog!